All Revel students, faculty and alumni are cordially invited to a special dinner and lecture that Revel is hosting as part of our guest-lecture series. 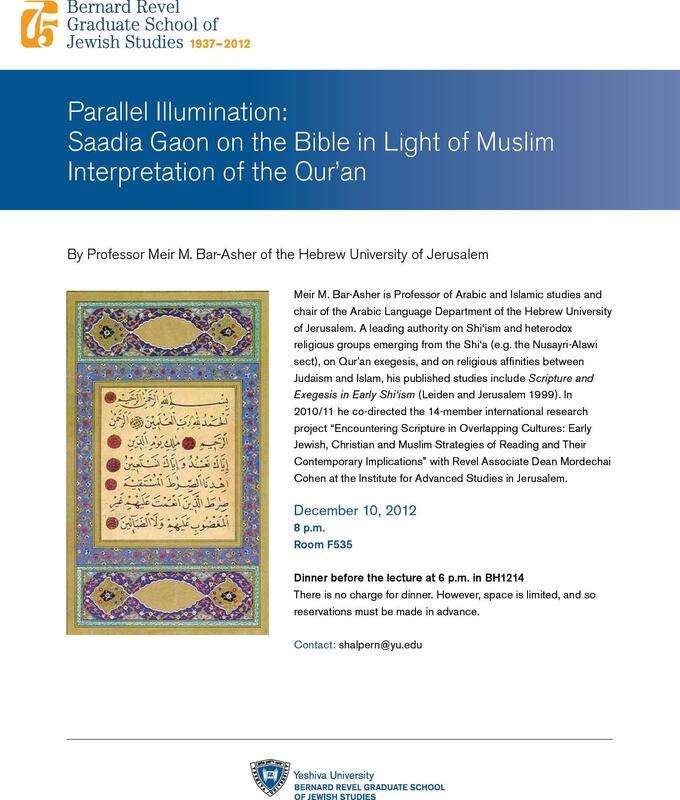 Professor Meir Bar-Asher of the Hebrew University of Jerusalem, a world expert on Islam, will be speaking on the topic of Parallel Illumination: Saadia Gaon on the Bible in Light of Muslim Interpretation of the Qur’an on Monday, December 10 at 8PM in Furst Hall Room 535. 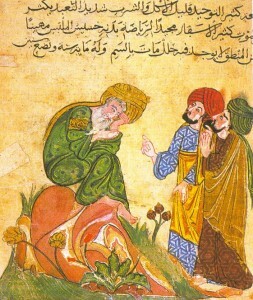 Professor Bar-Asher was invited to speak at Revel by Associate Dean Mordechai Cohen, as the two of them directed the international research group “Encountering Scripture in Overlapping Cultures: Early Jewish, Christian and Muslim Strategies of Reading and Their Contemporary Implications,” in which 14 distinguished scholars participated in Jerusalem in 2010/11. In his lecture, Professor Bar-Asher will show how Saadia Gaon drew upon the tools of Qur’an interpretation to enrich the Jewish tradition of parshanut ha-miqra (Bible interpretation). We’ve posted this event on our Facebook page: http://www.facebook.com/revelschool. Please visit the page and “like” it, as we’re going to be using FB to send out Revel updates. The public lecture will be preceded by dinner at 6PM in the President’s Suite (BH 1214), during which Professor Bar-Asher will speak informally to Revel students, alumni and faculty about his research and work in Israel. There is no charge for this dinner. But space is limited. If you would like to attend, please RSVP to Stu Halpern at shalpern@yu.edu by Tuesday, December 4th.